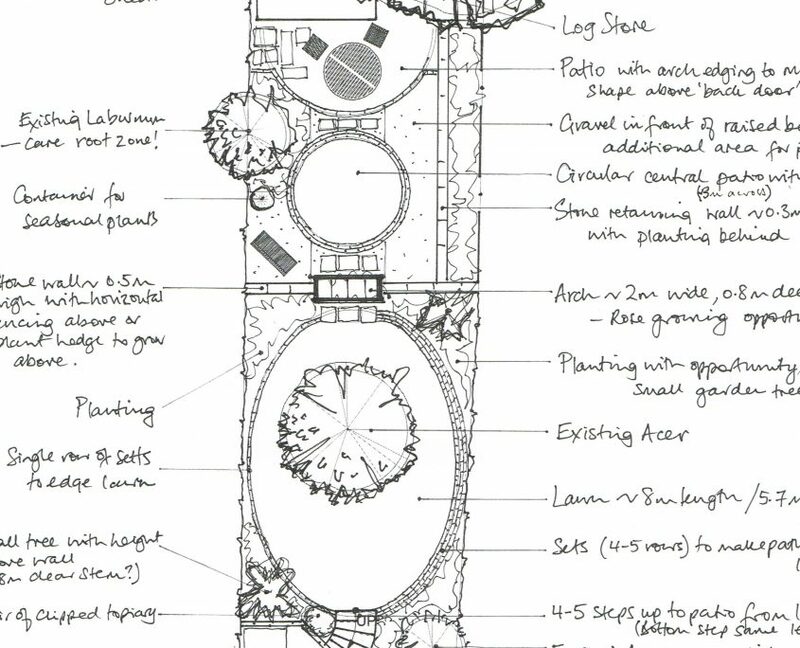 This is a responsive, concise yet creative garden planning service. 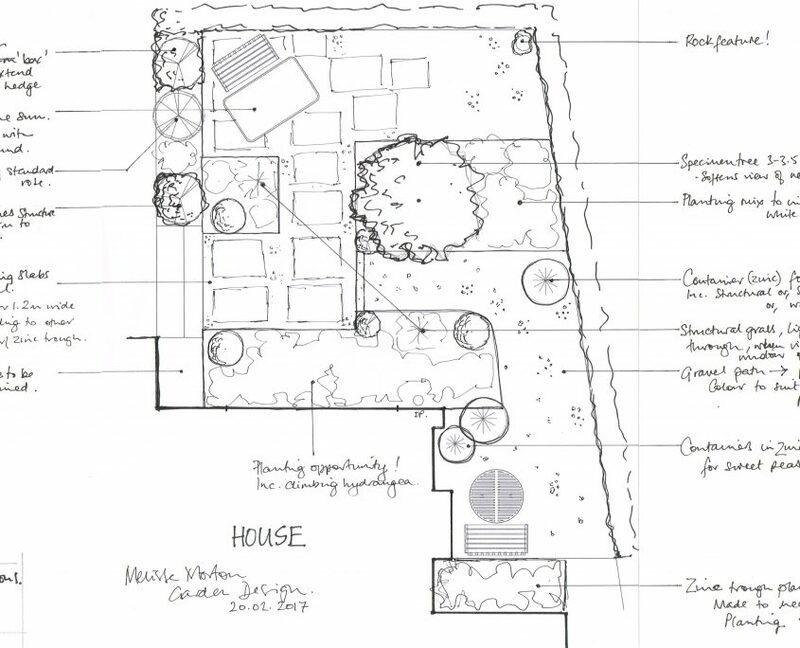 You receive a hand-drawn garden plan, inspiring you to transform your garden in your own time. The process follows the same approach as the Complete Garden Design Service but is completed in a much shorter timescale (typically 3 days). Pre-visit email, to prepare you for the meeting. Site visit, including consultation discussing your ideas, taking measurements and asssesing your garden in terms of views, boundaries, privacy, screening, structural planting, and your needs and priorities. Preparation and presentation of a concept sketch plan, in response to the visit. 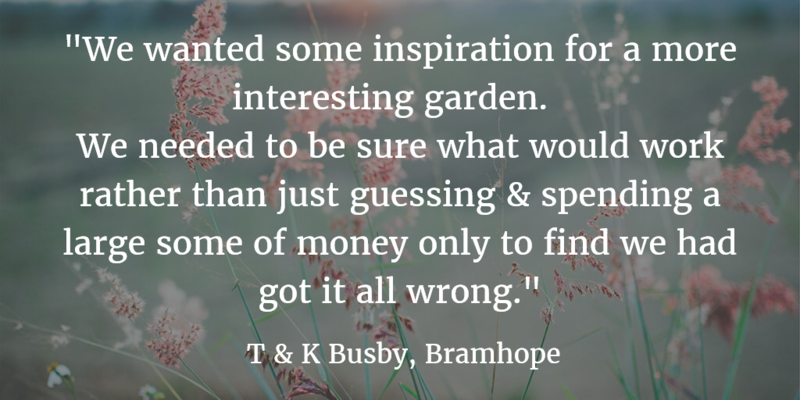 Annotated to a level of detail depending on the scale and complexity of your garden. An additional visit with a landscaper or contractor if required. 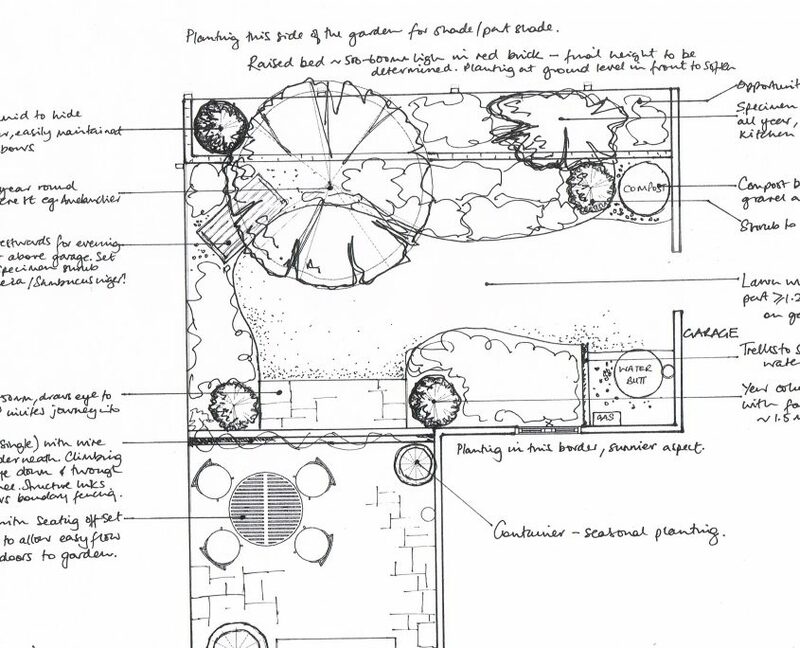 The Garden Inspirations Plan is a more detailed version than the Concept Plan provided in the Complete Garden Design Service, with a quicker turnaround time. 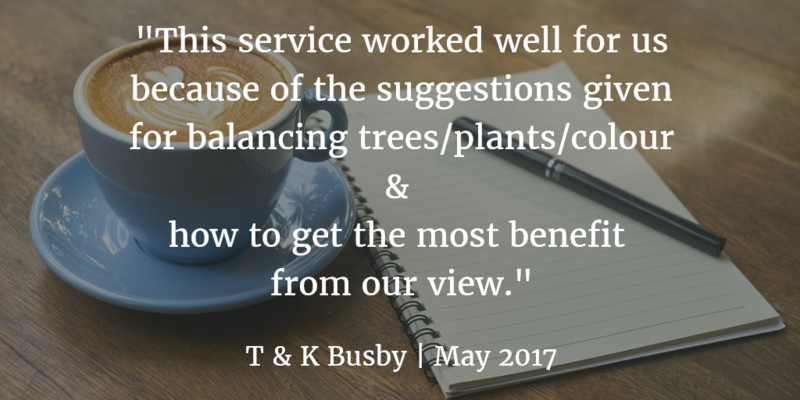 This service offers great value for money for modifying your garden. The overall layout of the design should be the last thing to be modified, because if done well, will be the optimal solution for the site. If compromises need to be made to achieve a budget, changing the choice of materials should be considered first. Garden Inspirations provides you with a considered, overall layout. You can choose the materials to suit your budget. The price for Garden Inspirations start at £950. 50% is payable when Step 1 is completed, the remainder is payable when Step 3 is completed. Outside a 10 mile radius of Ilkley, travel expenses are added. Please enquire to discuss your requirements.